If you like comedy and you never watch the TV Show "In Living Color", you are seriously missing out. And if you are a Jim Carrey fan and you also haven't seen it� you'd better take a break from reading this article and go watch it, immediately! "In Living Color" was a TV show created by comedian Keenen Ivory Wayans for Fox Network. It lasted 5 seasons from 1990 to 1994. The cast was mainly black people with Jim being the only white male in the cast from most of the seasons. They created comedy sketches in the style of Saturday Night Live. 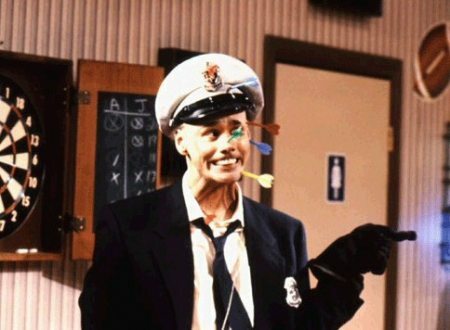 Through that show many characters that Jim did became popular especially Fire Marshall Bill and Vera de Milo. "That show really needs to happen! That show needs to exist. Especially now, man. There's so much to eat up and spit out so I'd love to see it reconstitute itself in another form. I'd go back and uh hang out with 'em. Of course, I would!" Seeing that show being brought again would be amazing! We at JCO will keep you update as things continue to be updated� "In Living Color"! Source: Entertainment Tonight. Click to comment this article.